Our “First” Map is of North Eastern Georgia with Parts of North & South Carolina we also have a “NEW” map now available of Western North Carolina. 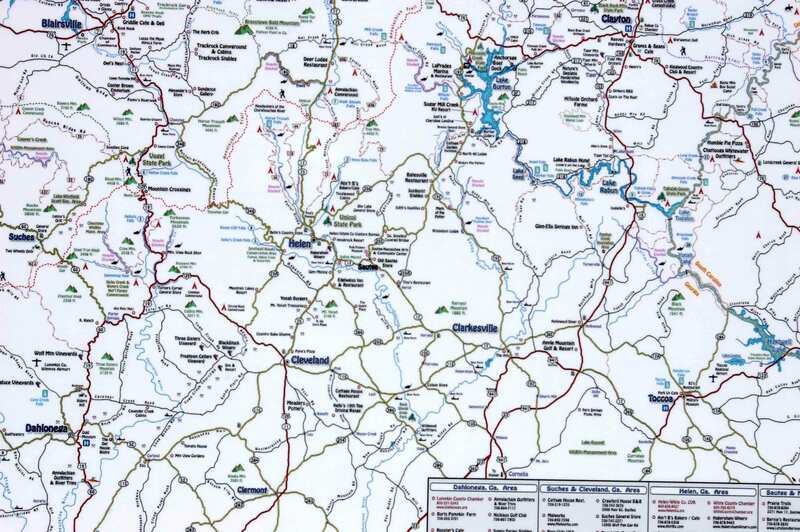 Our Maps include the main highways as well as many of the backroads and shortcuts throughout the region. Included are many of the ‘Places of Interest’ such as Waterfalls, State Parks, Campgrounds, Hiking Trails, Unique Shopping Spots, Golfing, Wineries, White Water Rafting, Restaurants, Fishing Spots, Rivers & Lakes and many other places that you may want to visit when traveling throughout the region. Map #1 – Our North East Georgia map includes the towns and communities of Blue Ridge, Hiawassee, Blairsville, Young Harris, Dahlonega, Helen, Suches, Clayton, Lake Burton, Toccoa, Clarksville, Cleveland and Dillard in Georgia. It also includes Murphy, Hayesville, Highlands, Cashiers and Lake Toxaway of North Carolina as well as Walhalla, Seneca and Westminster of South Carolina. Map #2 – The Western North Carolina map includes the towns and communities of Franklin, Highlands, Cashiers, Lake Toxaway, Brevard, Hendersonville, Sapphire, Black Mountain, Lake Lure, Tryon, Bat Cave, Asheville, Bryson City, Dillsboro, Waynesville, Weaverville, Maggie Valley, Sylva and Cherokee of North Carolina and Gatlinburg and Pigeon Forge of Tennessee. 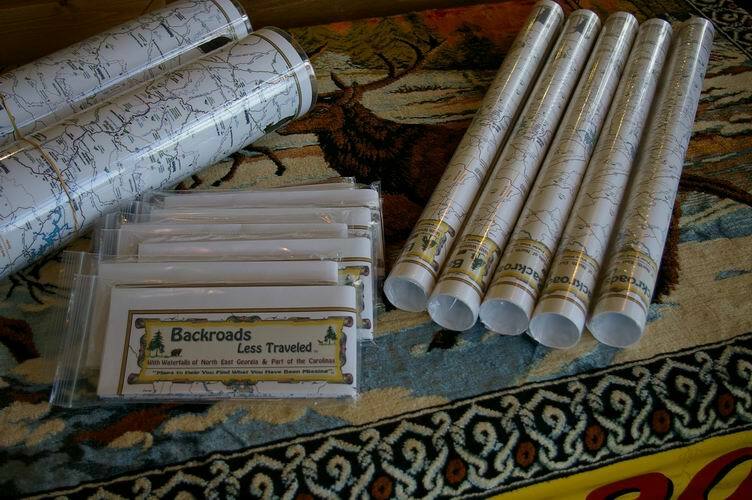 The maps are available Rolled, Folded or Laminated. You can find the maps on sale at various locations throughout the region or you can order one directly from us. We also provide framed maps if desired. Also I sometimes make rustic frames like the one pictured above and Jeanne has decorated some of the frames and she can custom decorate a frame for you if you would like. We have shopping is available on our new site.